10 Toronto Waterfront Venues Where You Can Tie the Knot | Wedding Ideas ARE YOU A VENDOR? 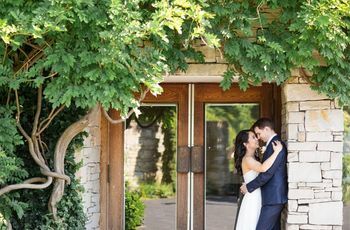 From west end ballrooms to an Island yacht club, Toronto’s waterfront is booming with wedding businesses. 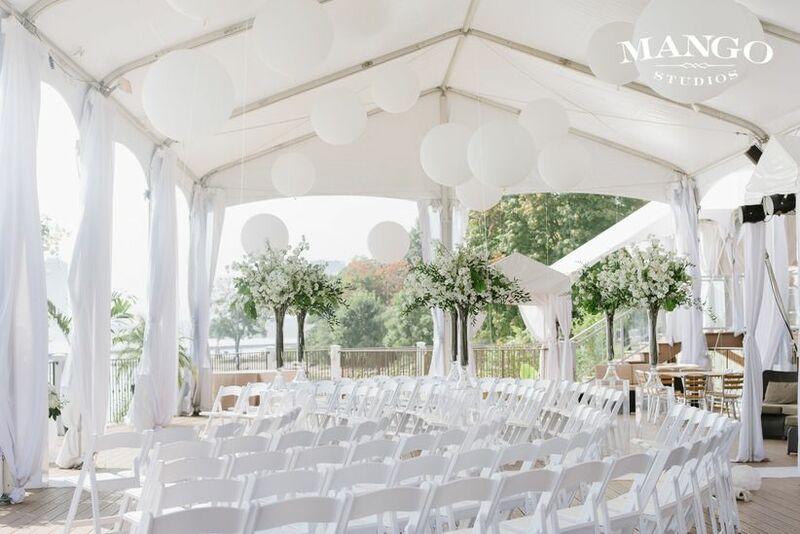 Want to say your “I dos” while looking out onto Lake Ontario? Well, good news, you can totally make it happen without getting a city permit to use a beach or park. 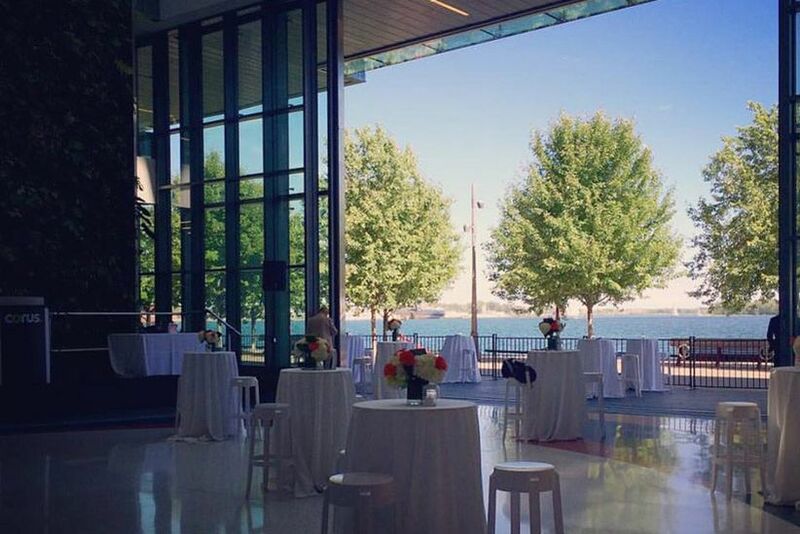 That’s right, Toronto has a roster of stunning event venues that sit right on the water. If you want to have your dream beach wedding without any fuss or muss, these are the venues you should add to your scouting list. 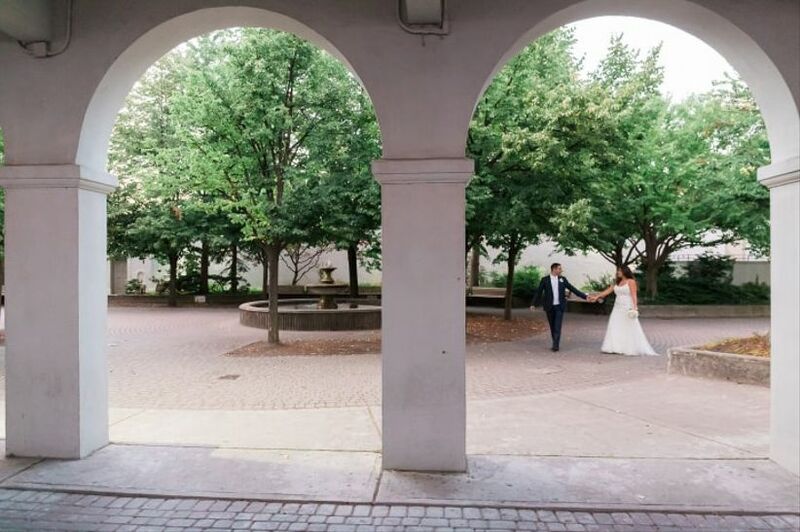 Here are a few Toronto waterfront venues where you can tie the knot. Palais Royale is probably Toronto’s most popular waterfront venue, and for good reason. It gives off some serious Great Gatsby vibes thanks to its art deco flourishes and has played host to greats like Duke Ellington and Count Basie. The space is perfect for guest lists of any size, from intimate gatherings of 25 to grand 800-person receptions. 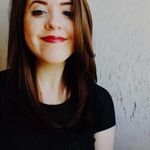 Bonus: it’s perched at the foot of Roncesvalles Avenue, a street where you can find all your wedding necessities, from your flowers to your rehearsal dinner location. Walk west of Palais Royale and you’ll find another wedding-worthy beachfront venue, Sunnyside Pavilion. This spot has come a long way since its humble beginnings as a changing facility in 1922 - and I mean a looong way. 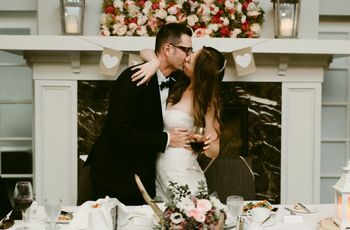 It’s now a full-fledged event venue, equipped with catering, consultation services and, of course, a killer backdrop for your big day (from ornate archways to gardens, it has it all). Its capacity is 70 to 90 people, so don’t go overboard with your guest list. This swanky private members club is another tried and true west end option overlooking the water. It features chandeliers, french doors and sleek wooden accents, ideal for couples who are in the market for something with a classic, old-timey feel. Its team can take care of everything from catering to breakdown, so you won’t have anything to worry about on your big day. Its largest space, the ballroom, has a capacity of 200 (or 250 without a dance floor). When you think of the waterfront, the Island is probably one of the first things that comes to your mind. 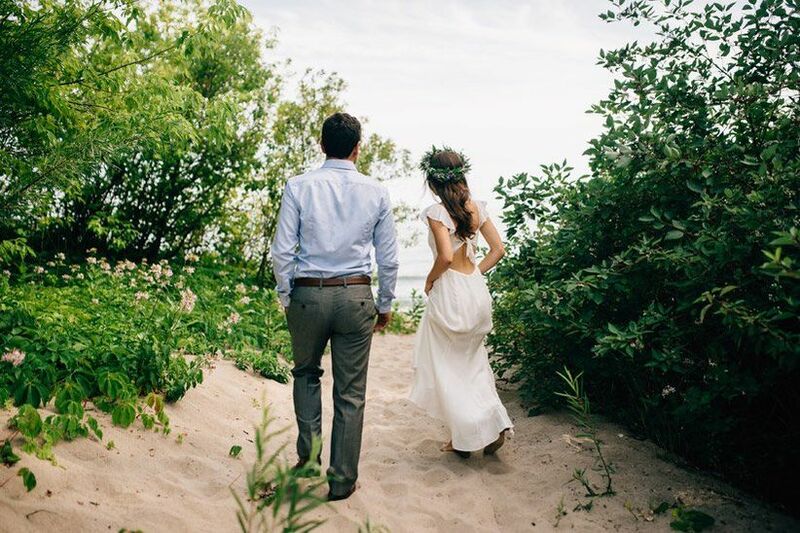 While the sands of Hanlan’s Point are probably your go-to spot, you’ll have to expand your horizons to find that wedding worthy location. We suggest making Artscape Gibraltar Point your first stop. It has options available for those who want to get hitched on the sandy shores with the waves crashing in the background, on the lawn surrounded by trees and indoors (a triple threat!). Its capacity indoors is 270, but it can accommodate up to 2000 outdoors. Unfortunately, you probably won’t be receiving a yacht as a wedding gift, however you can surround yourself with them on your big day. 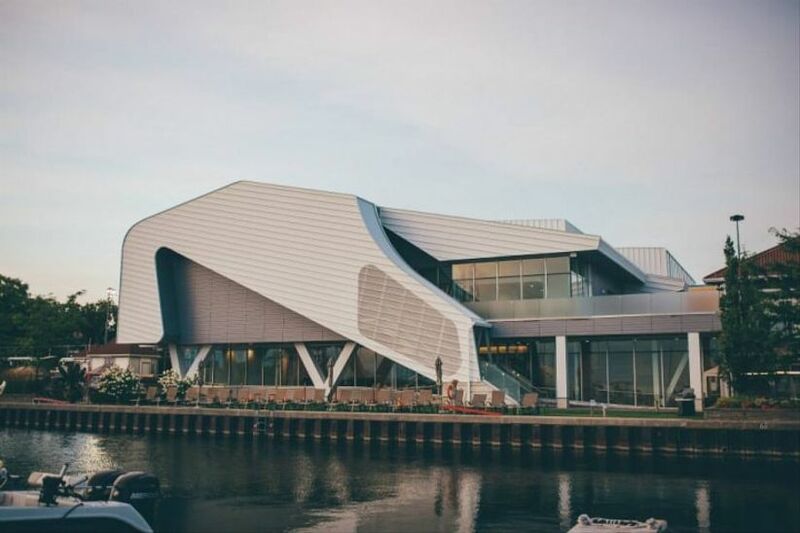 The RCYC’s Island Clubhouse is a truly unique venue that caters to Toronto’s aquaphiles. Instead of crystal chandeliers and archways, you’ll find maritime murals, sky blue walls and nautical flourishes. You’ll also be treated to amazing views of the Lake and the city skyline - AKA the perfect backdrops for your wedding photos. Capacity is 250. 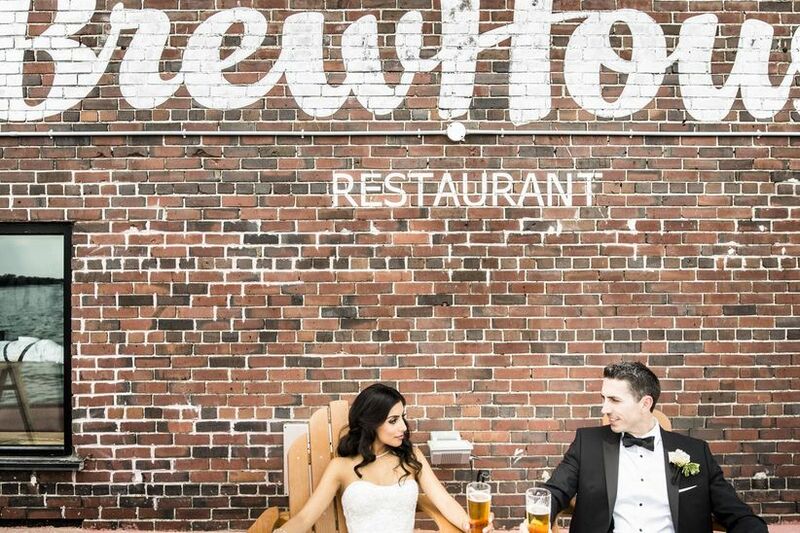 Are you dreaming of a brewery wedding? Well, Toronto has one right on the waterfront, accommodating those who love both brews and views. The Amsterdam BrewHouse is a 14,000 square foot venue that boasts a functional brewery, massive sun-drenched patios and kickass views of the water. Its capacity is 500 indoors and 480 outdoors. Boxcar Social, one of Toronto’s most beloved coffee joints/watering holes, has recently headed to the Harbourfront, opening its fourth location right near the foot of Lower Simcoe. The space has an industrial-chic feel, outfitted with wooden bars and stools, exposed ventilation ducts and, of course, an impressive patio. It can accommodate about 100 guests. 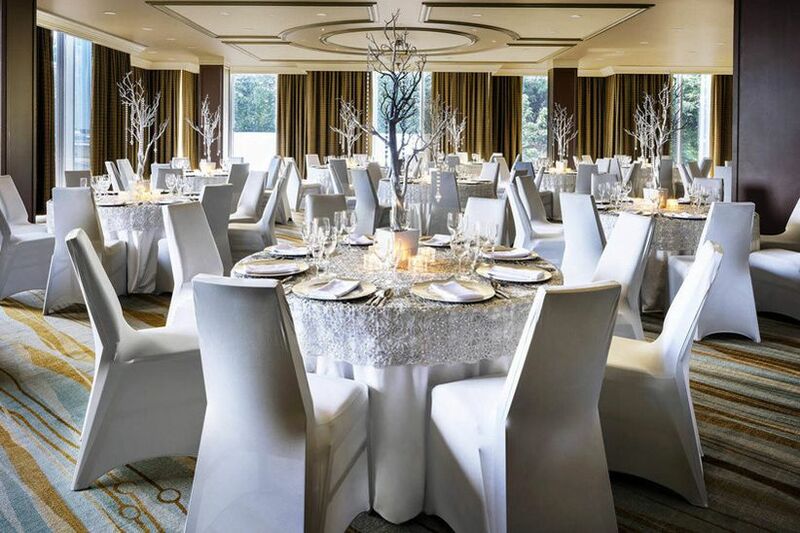 If a hotel wedding is more your thing, try the Westin Harbour Castle. It’s located a just a hop, skip and a jump away from the Jack Layton Ferry Terminal and offers amazing views of the water. The hotel is equipped with an array of ballrooms, intimate party rooms and outdoor spaces, all of which can be tailored to suit your wedding. Bonus: you can reserve blocks of rooms for your out-of-towners right in the hotel. Indoors it can accommodate up to 2000 people, so you can think big when crafting your guest list. 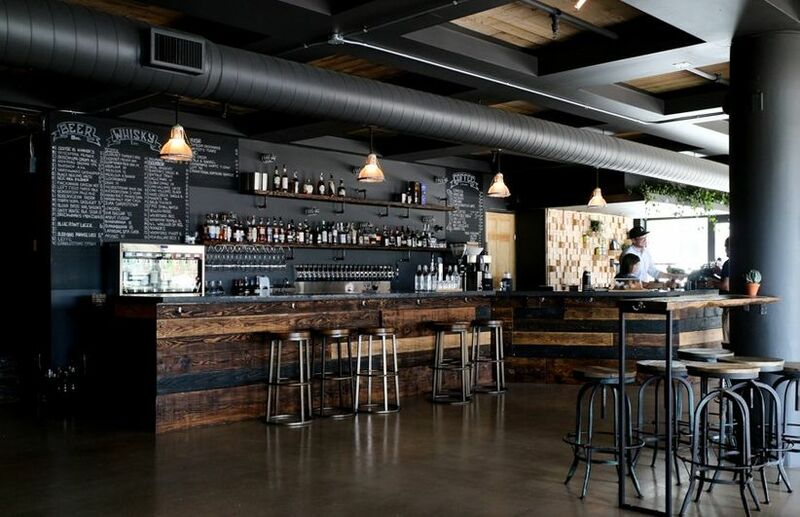 Against The Grain is another stellar centrally located venue. The restaurant sits near the bottom of Lower Jarvis Street, making it a pretty accessible option. 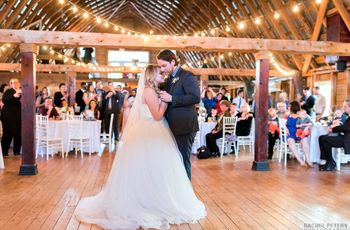 The tavern is decorated with modern furnishings and floor-to-ceiling windows that fill it with natural light during the day time (great for capturing your candids) and has a capacity of 150. For events, the space can be combined with the Corus Atrium with a capacity of 250 for a seated meal or 400 for a cocktail reception. 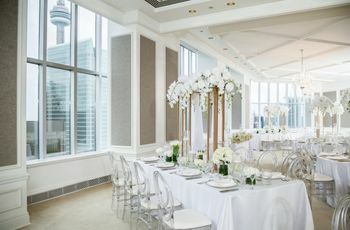 For a smaller guest list of 60 to 80 seated or up to 120 for a cocktail reception, you can book the 8th floor in the Corus Entertainment Building (which shares the same address). 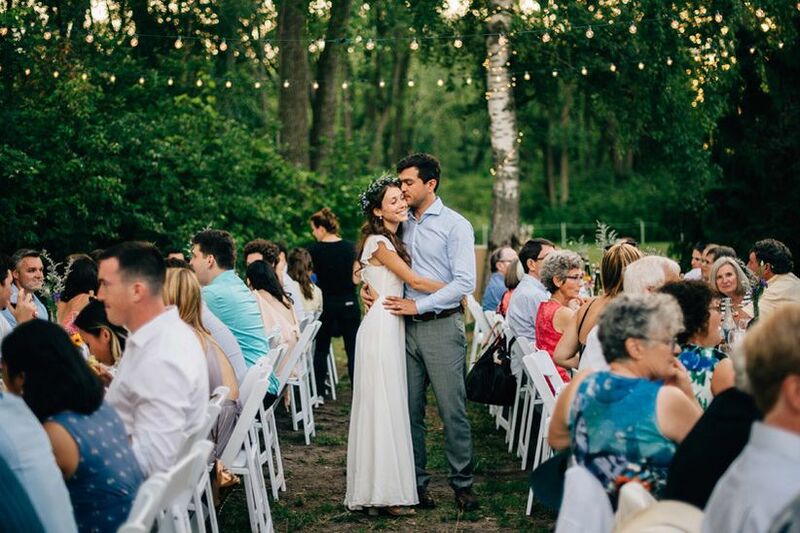 Head to Scarborough and you'll find a versatile waterfront venue - The Guild Inn Estate. 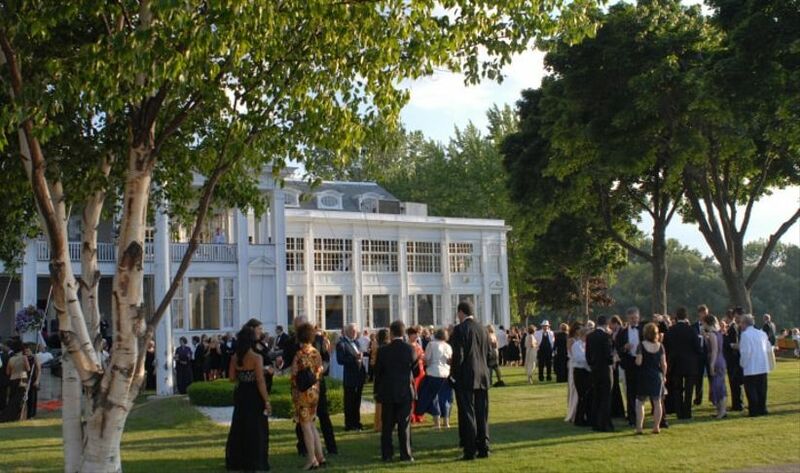 What was once the modest, two-storey Bickford House (built in 1914) is now an event oasis, with sweeping grounds and amenities like valet parking, in-house catering and complimentary service staff. It has both indoor and outdoor options, to choose from and a capacity of 1000.